It's finally leather weather! Now that it is actually starting to feel like spring, I can break out my favorite pieces, like a classic (faux) leather jacket and leather loafers. I've also missed wearing skirts. It had been such a freezing and snowy winter, that I barely wore them. 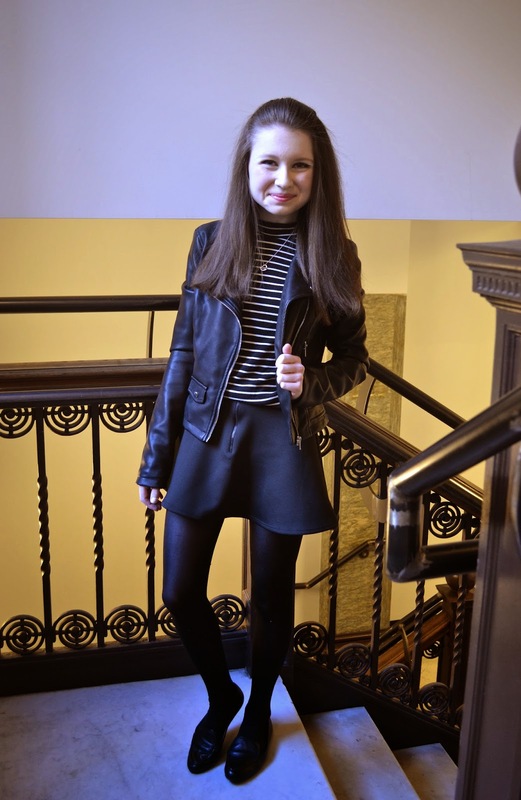 I paired one of my favorite neoprene American Apparel skirts with my beloved Brandy Melville mock neck striped top for a simple, spring outfit. What's interesting about this skirt is the zipper is supposed to be worn in front, which adds a unique detail. I sometimes wear it in the back if I want a different look. No matter which way I wear it, I love it just the same. 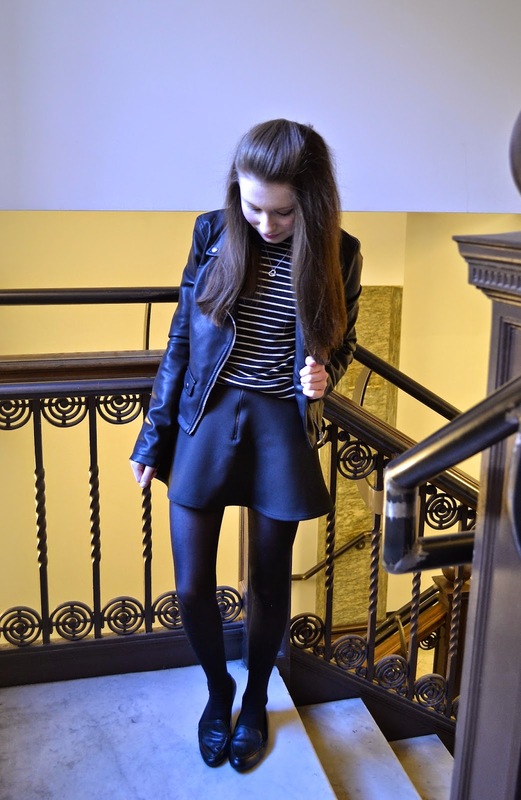 Hooray for leather weather, and skirt season, too!